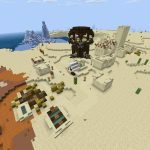 This Minecraft Java Edition 1.13+ seed has two desert blacksmith villages, both close to spawn. 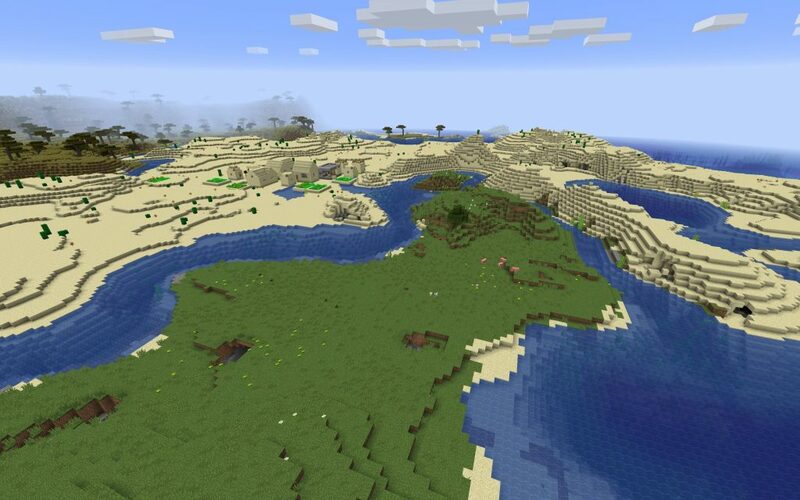 The first blacksmith village (and closest to spawn) is to the northwest and should be clearly visible. 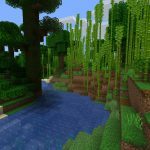 If you’re looking for a shortcut toward full iron armor or crafting an anvil, you’ve come to the right place. 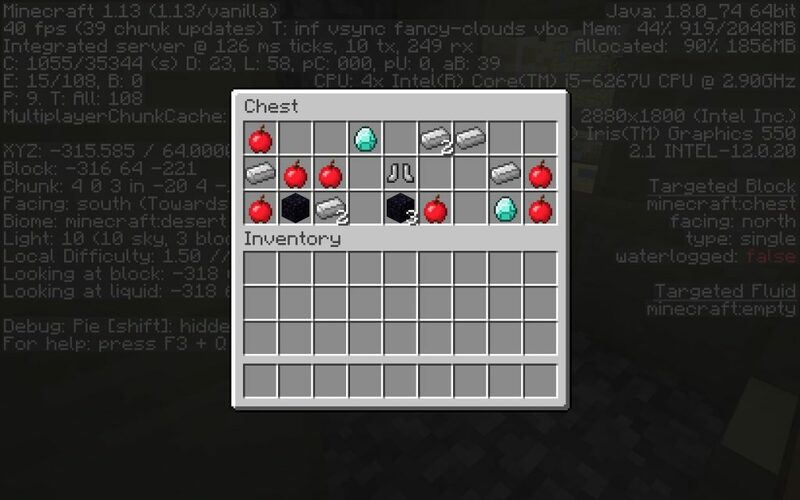 Loot in the first blacksmith’s chest includes two diamonds, 7 iron ingots, iron boots, 4 obsidian and 7 apples. The second desert village is to the south. 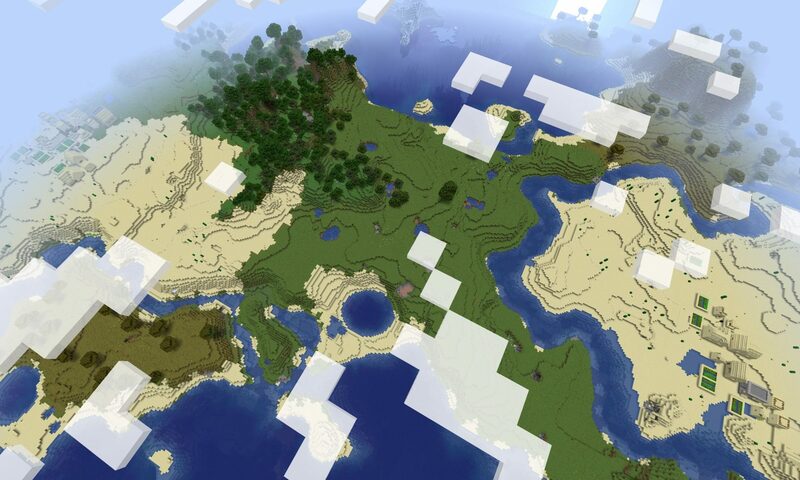 This one may or may not be visible from spawn; it’s dependent on how far your view distance is cranked up. The second blacksmith chest has two diamonds, iron leggings, an iron sword, three more obsidian and a few loaves of bread for good measure. 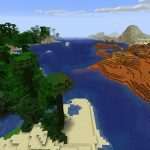 With desert, plains, birch forest, savanna and ocean biomes this seed provides a nice variety of resources at spawn, too. 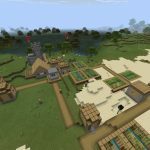 The 1st Blacksmith Village (-352,,-208) as seen hovering over spawn. Contents of the first blacksmith’s chest. 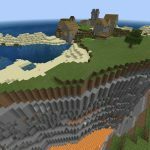 The 2nd Blacksmith Village (-272,,224) as seen hovering over spawn. 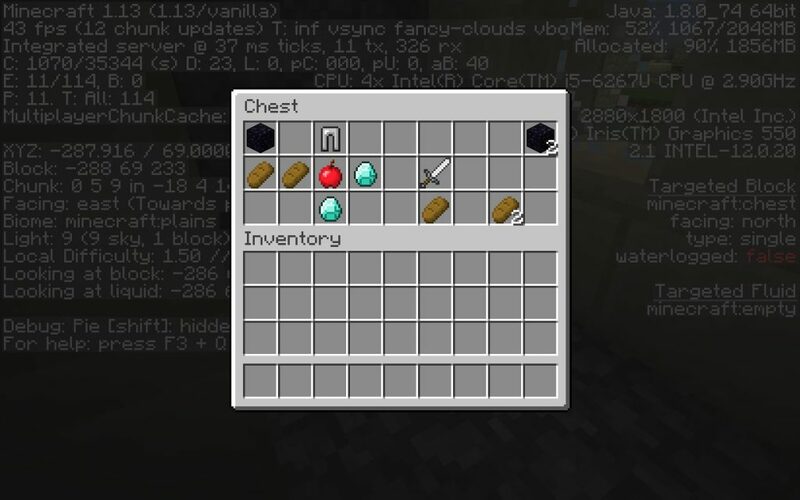 Contents of the second blacksmith’s chest. Awesome. 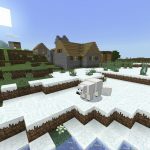 Thanks for sharing the village coordinates! 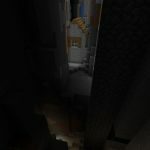 Be careful, very near to spawn is a huuuuuuge chasm, it’s a 52 block drop, and it goes on quite a ways in multiple directions. 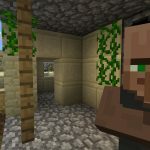 Even further south is a desert temple with another village ca. 200 blocks further! 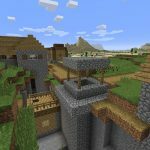 And if you somehow wanted more, there’s an abandoned mineshaft right below the second village. 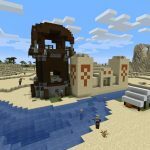 Awesome – thanks for sharing that there is an abandoned mineshaft is there! There’s a wrecked ship when you turn around from spawn that has diamonds, emeralds, gold nuggets, and iron nuggets! 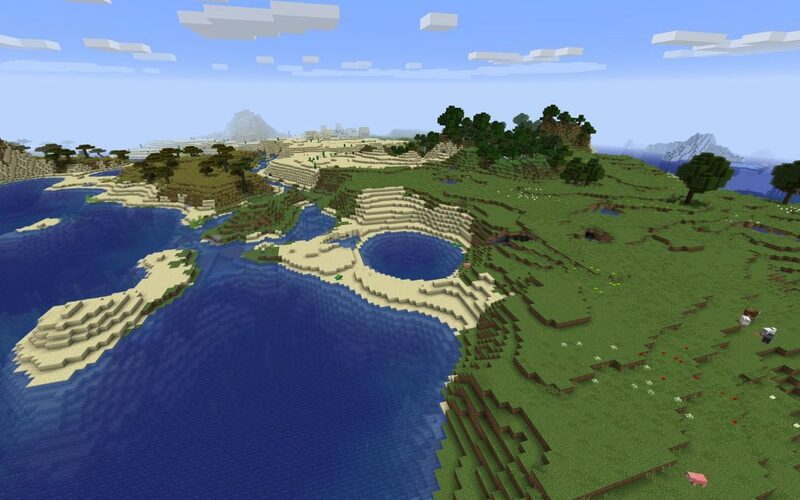 First time using this seed, will probably play creative to avoid chasm. Awesome! Thank you for sharing the coordinates!! Wow i’m suprised no one noticed to circle-shaped pond. 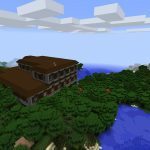 some found a good fortress in a nether?